Each recipe takes between 10 minutes and a couple of hours to implement and can save between $25 and $900 a month. Yes, each. Hit the button below and let’s get started. It’s a cornucopia of ways of maximizing your dough and not getting burned by unseen fees or paying too much for just about everything you can imagine – even a piano! Each “recipe” for future financial security is introduced with a vignette with very likable characters that act and sound very much like ordinary Canadians. This “Cookbook” is a joy to read – but it doesn’t have to be consumed in one sitting. Mr. Stein wisely makes each recipe a lovely amuse bouche. By the way, I bought the book. Worth every penny. All of the recommendations and advice could be applied in most cases, immediately! Easy to understand and apply these principles to my everyday habits that have led me in the road to debt. I would recommend this book to anyone that wants to get a grip on their debt, from a newly graduated student, to a seasoned credit card debt holder. This is a fantastic way to get ahead before life takes you on a ride. I believe life is a game of inches. Daily habits that we make that add up to make us successful. 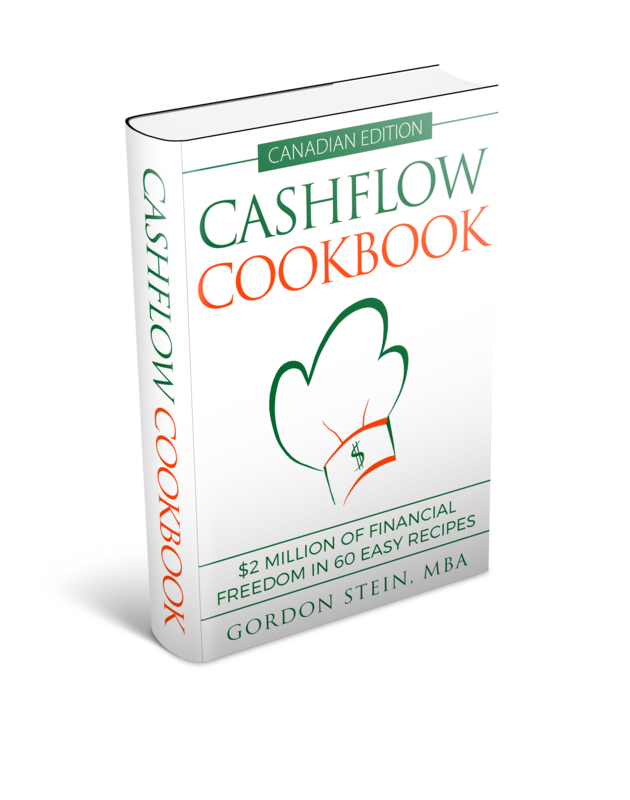 Gordon Stein created a book about personal finances and using this inch-by-inch concept to help you save a ton of money. I only wish I had this available in my 20s. Gord lays it all out on how you can do a number of small things daily to get you to achieving long term wealth. Get the book. I think we could all use this.